Today we are officially launching our first edition of HoofNotes, your on-the-go downloadable training tips. All your favourite training tips, all in one place, in an easy to find, quick to read, and completely portable printout. Volume 1, No. 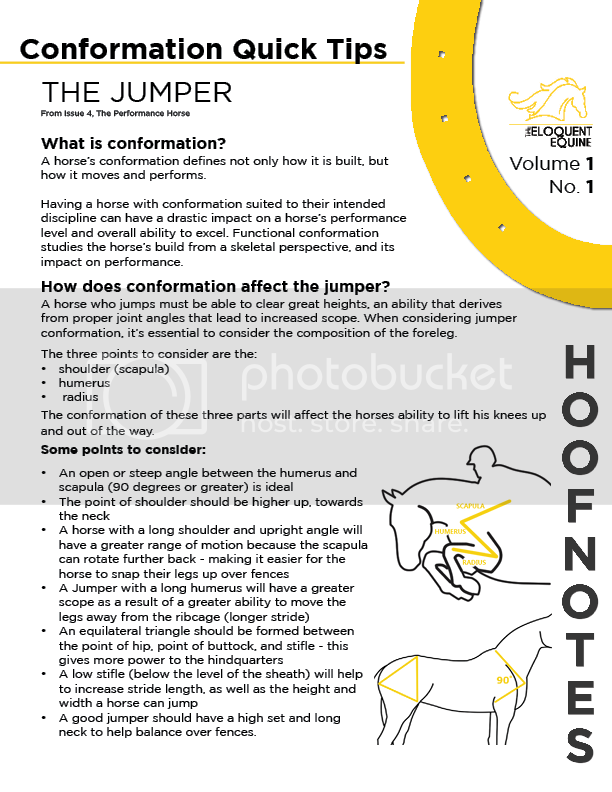 1 focuses on quick tips for assessing Jumper conformation, and is based on a larger article on Conformation featured in Issue 4, The Performance Horse.